As part of your practical driving test you will be required to answer two questions to test your knowledge of the car that you are about to drive. These questions are called the “show-me tell-me” questions and each wrong answer will result in a minor driving fault. "We want candidates to be able to demonstrate a basic knowledge about how to make safety checks on the vehicles they are driving or riding. Ignorance is no excuse as far as the law is concerned and lack of maintenance of vehicles can lead to accidents." To answer questions the driver requires basic knowledge of the operation of various controls and the checks that a driver should carry out to ensure that the vehicle is safe for use. 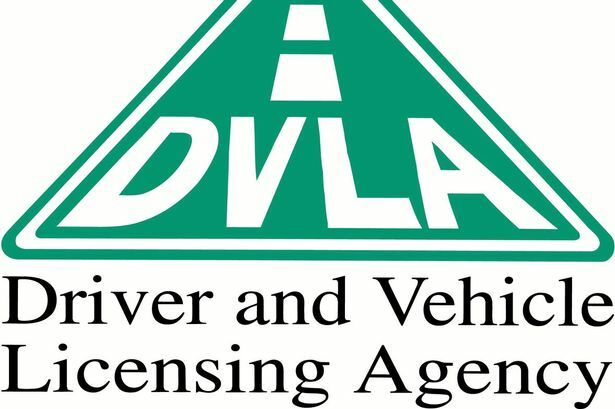 The source material can be found in the DSA publication “Driving the essential skills” and the “Official DSA driving Test” and some of the information can also be found in the manufacturer’s handbook. For example, you may be asked to open the bonnet to identify where fluid levels would be checked – you will not be asked to touch a hot part of the engine or physically check fluid levels. As a matter of fact some of the questions can be answered by reference to the information systems that is fitted in the car. Questions relating to tyres are designed to test your understanding of the need for tyre maintenance, the ability to carry out basic tyre checks, the minimum tread depth (1.6mm). You will not be asked to inflate the tyres or any demonstration that could be dangerous – for example, running hands around the rim of the tyre. Questions relating to brakes are designed to ensure that you understand that the operation of the brakes is not to be taken for granted. Although modern braking systems are very reliable and most cars now have fail safe dual circuit hydraulic systems problems can still arise that will impede braking efficiency or cause brake failure. In addition to the operation of brakes you need to recognise how to stay within the law and fulfil your social responsibility with regard to the operation of brake lights and the meaning of the illumination of the warning lights on the panel. Information about lights ranges from keeping the lenses clean to changing a bulb. The DSA Manual (driving – the essential skills) advises that lights should be checked before and during long journeys and that any lighting fault should be fixed immediately. To this end all vehicles, and especially driving school cars, should carry a spare set of bulbs. If your car has a headlight adjuster you should know what it is for, how and when to use it. Although you should know about and be able to use arm signals in place of, or to reinforce indicator signals, if the indicators fail during a driving test, the test will be abandoned (even if the pupil volunteers arm signals). If the pupil is able to rectify the fault within a few minutes by changing a bulb, then the test could continue. To this end, and for the purpose of weekly and daily checks it is essential for you to recognise and respond to clues that suggest a problem with the indicators. You will not be asked to do anything that might bring you into contact with hot parts of the engine; however, you may be asked to open the bonnet and point out to various fluid reservoirs and how they can be checked and topped up. You in addition to being asked to checking general fluid levels, can also be asked to check the oil level using the dip-stick. This is a section that requires little knowledge and involves safety aspects that you must be aware of topics that the examiner on which he is unlikely to ask question but you should be aware of them. For routine checks make sure the engine is always switched off before opening the bonnet. Opening the bonnet with the engine running can present real dangers; for example, a tie or scarf could be caught up in moving parts causing serious or fatal injury. It is essential that you know where to find information about the appropriate fluids to use for brake, clutch, steering or coolant reservoirs. If you buy oil make sure it is suitable for the car (especially if it's a high performance or diesel engine). If you remove any reservoir lid make sure that it has been replaced properly before closing the bonnet. As with many of the other items in the 'Show Me – Tell Me' syllabus, a functioning horn is a legal requirement. Perhaps more important is the fact that it can be a lifesaver in an emergency situation. Given the importance of the horn, it is essential that its checked from time to time to make sure that it is functioning correctly. The operation of the horn is obviously easy to check, however, you should remember the legal issue, that is, horn can only be demonstrated in an 'off road' situation. This is because use of the horn when stationary is only permitted to warn of danger –for example, if someone was about to reverse into you. The question would relate explanation, as how you would check that the horn is working correctly and if a demonstration is called for ensure that it was a safe and legal position. How to Answer the Questions? Open the bonnet and point to the engine oil dipstick. Then explain that if the oil level recorded on the dipstick is between the minimum and maximum marks, you know you have sufficient oil in your engine. If it is below the minimum mark you need to add oil and if it is above the maximum oil needs to be drained. Open the bonnet, look for the windscreen washer reservoir and point to it while explaining to the driving examiner that the level of fluid contained in the reservoir can be seen against the container and it needs to be between the maximum and minimum mark. Open the bonnet, look for the radiator (or reservoir) and point it to explaining that if the level of engine coolant you see is between the low and high level marks, then you know you have the correct level of coolant. Open the bonnet, identify where the brake fluid reservoir is and tell me how you would check you have a safe level of hydraulic fluid. Open the bonnet, look for the brake fluid reservoir and point it out explaining that if the level of hydraulic fluid against the container is between the maximum and minimum mark, you know that you have enough brake fluid for your car. Please note that in some vehicles there are separate reservoirs for brake fluid and power steering so when answering the question make sure you point to the correct reservoir. When you start your car, you can depress the brake pedal and look for the reflection of the brake lights in windows, garage doors or you can ask somebody to go at the back of your car and have a look for you instead. Explain while pointing to the light that if there is a fault with the anti lock braking system on the car you are driving, the warning light should illuminate to notify you of the fault. This is the easiest of all questions and only requires you to operate the horn to hear a noise coming out of it but you must keep the legal issue in mind. You will need to apply the handbrake (parking brake) and show to the examiner that the vehicle has secured itself now ie it will not move forwards or roll backwards. You will also need to point out that when you applied the handbrake, it did not go all the way up and reached the end of its working travel which shows that there is no excessive wear. Explain that when the break peddle is pressed (demonstrate) while the vehicle is stationary the brake pedal should not have a spongy or slack feeling and when you move off to start your journey, you will test the pedal again to make sure the vehicle does not pull up to one side as a result. You will need to set all relevant controls including, fan, temperature, air direction/source and heated screen to clear windscreen and windows. However engine need not be on for this demonstration. Show me how you would check that the headlights and tail lights are working. When driving at night on long stretches of the road, you might need to change the headlights on your car from dipped to main beam so that you can see further ahead of you and by operating the relevant switch, you will see that the main beam warning light on your dashboard glows indicating that main beam is now ON. The recommended tyre pressure will be written in the car manufacturer’s manual. Tyre pressures should be checked with a reliable pressure gauge when the tyres are cold – and that includes the spare wheel in the car. After checking the pressure, the valve caps should be put back on. Operate the relevant switch (turn on dipped headlights and ignition if necessary). Check warning light is on. Then explain the use of the rear fog lights – tell the examiner that you will operate your rear fog lights when the visibility is seriously reduced (below 100 meters) so that drivers behind you are able to see your vehicle and that as soon as visibility is improved you will turn them off to avoid dazzling other drivers. Show me/explain how you would check that the power assisted steering (where fitted) is working before starting a journey. A working steering will always feel light. When you start the engine and turn gently the steering wheel, you should feel a noticeable movement in the wheels. Also as you move off, you could try turning the steering wheel and if a lot of efforts are required, you will know there is a problem with the steering. Turn the ignition on and switch on the left indicator and walk round the car to make sure it is working. Do the same for the right indicator. Alternatively, you could put the hazards lights on and check. Tell me how you would check the tyres to ensure that they have sufficient tread depth and their general condition is safe to use on the road. Your tyres should not have any cuts or bulges and should have 1.6mm of tread depth across the central and three quarters of the breadth of the tyre and around the entire outer circumference. The head restraint of your seat should be adjusted so that the rigid part is at least as high as the eye or top of the ears and as close to the back of the head as is comfortable. Please note that in some cars, the head restraints might not be adjustable.